Nursing Services are provided, as indicated by medical orders, for patients requiring any level of nursing care. Nursing services are provided in accordance with the New York State Nursing Practice Law and other applicable Standards of Practice, State/ Federal Codes and Regulations. 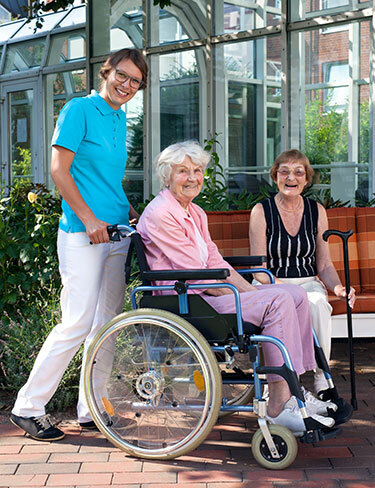 Personal Care and Support Services for patients who require assistance and direction in managing and maintaining their household or assistance with maintaining a clean and healthy environment. Counseling Support Services for patients with psychosocial problems and/or those in need of nutritional counseling. Rehabilitation Services for patients prescribed with improving or restoring functions which have been impaired by illness or injury, or where function has been permanently lost or reduced by illness. Our services not only cover senior care and hospice, but also include maternity, newborns/pediatrics, as well as children with chronic illnesses and those who are physically and intellectually challenged.